BCF SHISHU PATHSHALA “BCF Shishu Pathshala” A new project has been launched in vill. Awleshpur , Dist. Varanasi, U.P dated 16/07/2018 to help the extremly needy and very young children for their quality education. Under this project we identify and help those children who have strong interest of study but as per their family condition they can’t afford to get quality education. According to these children’s parents caste and creed, these children are still discriminated by the upper caste in the village/ community . BCF specially focus on their lacking subjects and boost them up. example- helping them in reading, writing, word meanings ,Maths,science and extra curricular activities. 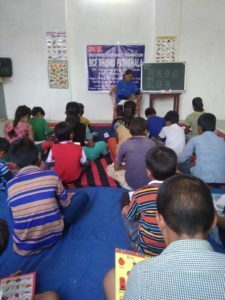 BCF is committed to educate India’s youth, teens, and left behind. We have already helped more than 900 underprivileged, and street children to attend school. BCF provides scholarships through School Chalo. 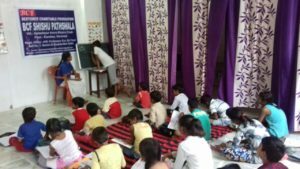 School Chalo is an initiative to increase enrollment in government schools for underprivileged children, and drop outs in Delhi, Uttar Pradesh, and Bihar. 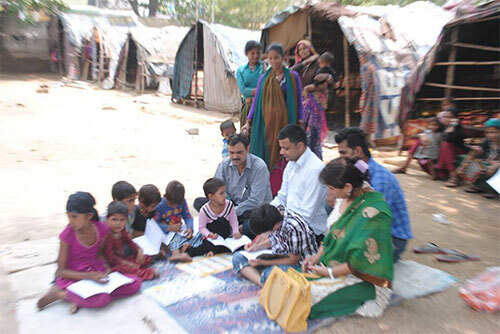 We locate the parents of these children, and encourage them to enroll their children in school. BCF helps provide a scholarship and as long as the child attends school, the scholarship will remain active. We also provide free after school study programs. Additionally, we distribute food, clothing, stationary, books, pencils, and dictionaries. All this is made possible through your donations. Vidyapeeth Primary School was established by BCF. 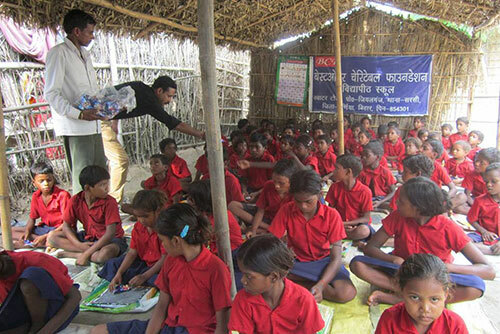 This school is in a village of the Purnea District of Bihar. We work towards daily improvement for these underprivileged children. Their education is free of cost. Books, academic support, and healthcare facilities are also inclusive for these students. Based on our experience, BCF believes sustainable development of disadvantaged communities can only be achieved, if children’s best interests are at the heart of everything we do. “Child-Centered Community Development” is the term we use to describe how we aim to do our development work. It’s a rights based approach to development. We support communities to develop the structures and skills they need, to provide a safe and healthy environment in which children are able to realize their full potential.